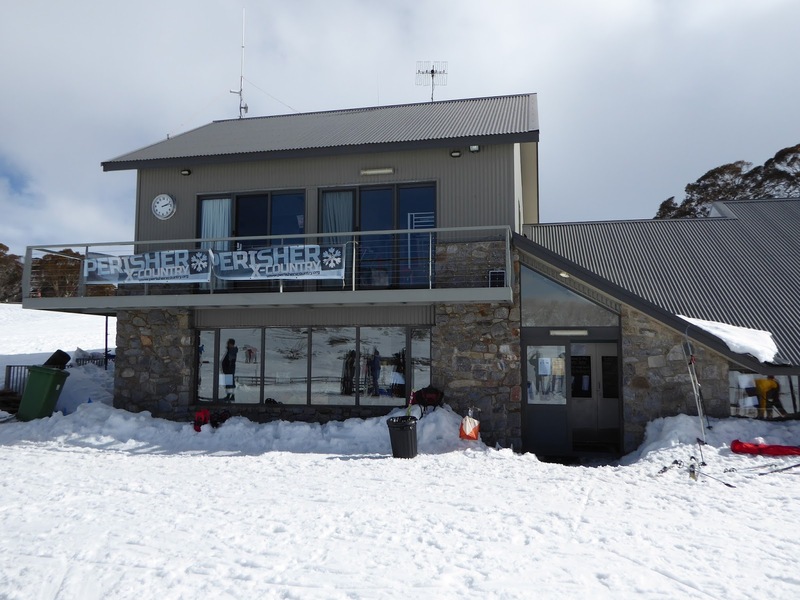 I had the opportunity to ski in the Australian Ski Orienteering Championships at Perisher Ski Resort, in the Snowy Mountains. 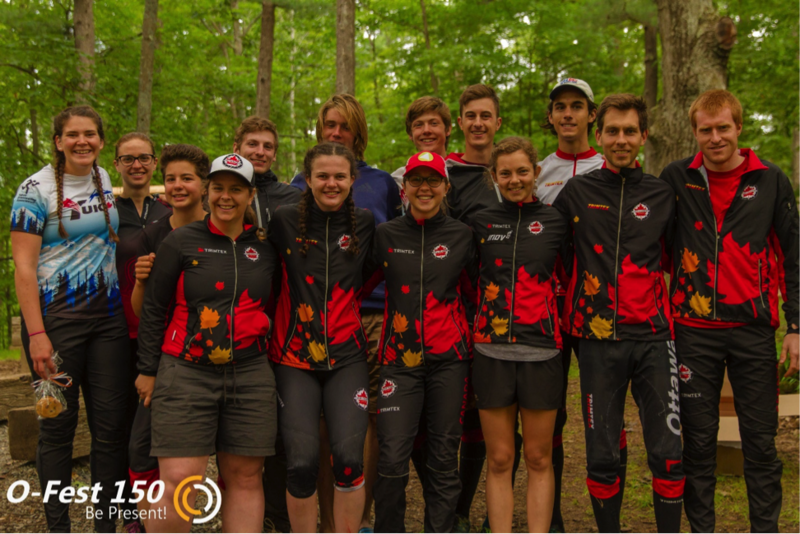 I had met some Australian orienteers (David Poland and Toni Brown) at Ice-O in Iceland earlier in June and I was able to connect with them in Australia. They were kind enough to invite me on a ski trip David was planning and had gear that I was able to borrow. I had just finished a four and a half day ski tour in Mt. 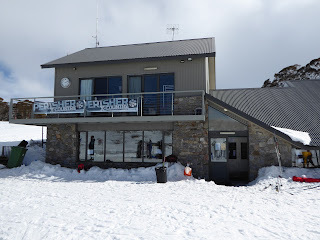 Kosciusko National Park, with David, on the morning of the Ski-O and would be skiing the race on the ski touring equipment I had just been using. While it was nostalgic to be using leather boots and 3 pin bindings it meant that I was not able to ski as fast on the trails as I could have done if on skate gear. However the heavier equipment did have an advantage when cutting between trails. 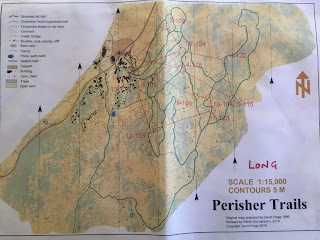 I had never skied on the trail network that the Ski-O took place on and so that made it feel much more like a real orienteering event. The snow was good and you could cut between trails without sinking in very much. I made use of this several times, but definitely not as much as I should have, considering the ski equipment I was on. When comparing times and routes afterwards, I figured out that I could have gained several minutes just be skiing more between the trails, as I wasn't particularly fast on the trails with the heavy equipment. There were 3 courses set, beginner, intermediate and long. I competed in the Long which had a distance of 7.5km. The Long course had 14 controls and the SI units were just hanging on a sting from whatever tree the flag was on. This did make it a little slower to punch, but at least it was warm and so I was able to wear the SI stick over my gloves. The event did not have Ski-O map holders you could rent and so I ended up pinning the map to my jacket. This saved me having to carry it in my hands, but did mean that I couldn't rotate the map to my direction of travel. After a bit of a mistake going to the first control I was able to keep track of where I was, although I did make some major route choices errors. Overall though I skied fairly well and finished in 2nd place. All in all it was a very fun and memorable event to attend. 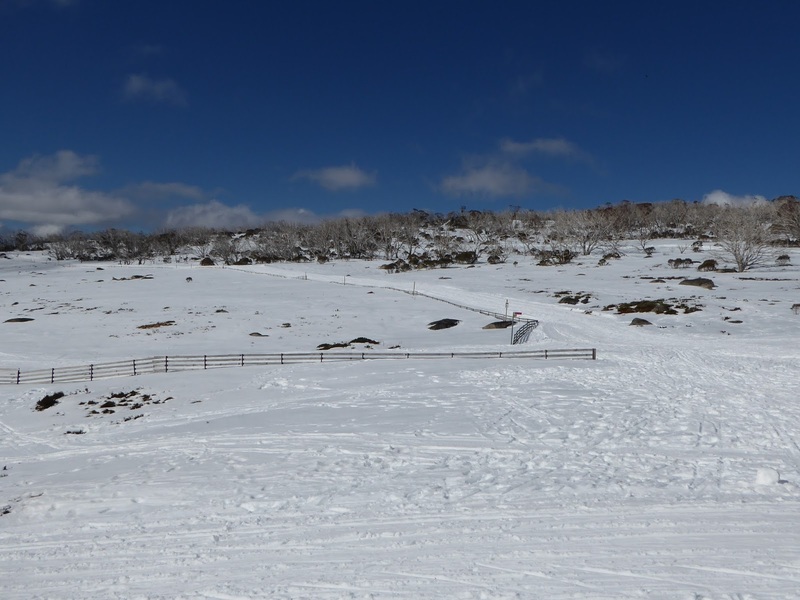 I definitely enjoyed skiing in among the Gum trees and it was a great way to end off 5 days of skiing in the Snowy Mountains. The first race of the Canadian Championships was the sprint which took place in Perth Ontario - a lovely little town just outside of Ottawa. JWOC coach Jeff Teutsch was the course setter for this race, and he set some very interesting courses, all including some residential streets, some park areas (complete with a river crossing! ), and even some busy downtown streets with lots of spectators. The atmosphere in the arena wasn’t lacking any energy, that’s for sure! A sample from course 4 - the river crossing. 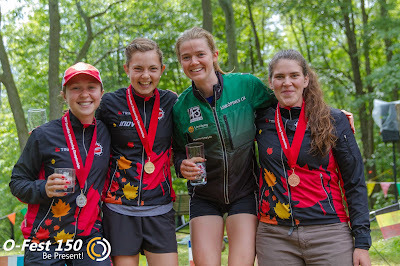 I ran the women's 21 Elite course for all of the races at COCs this year, but for the sprint it was particularly exciting because I started just 1 minute ahead of teammate Emily Kemp! 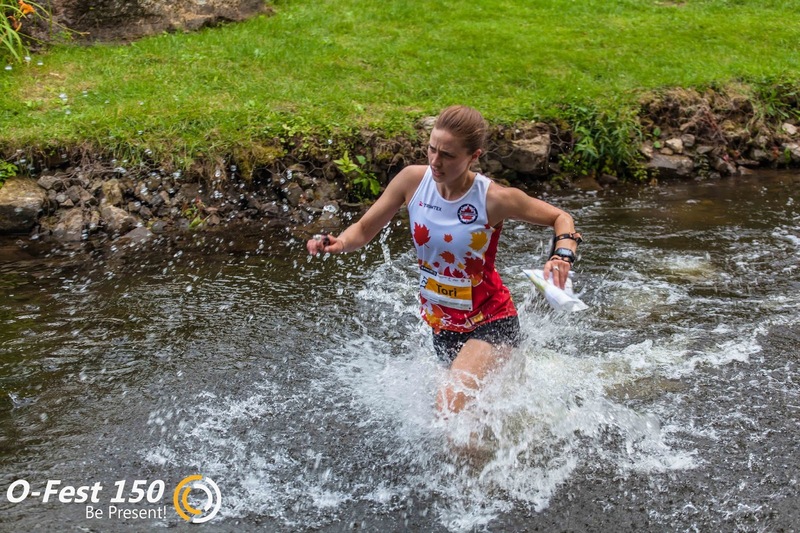 It was a pretty stressful situation to start in, but after spending this whole summer training and doing sprint races in Europe, I knew that I was prepared to handle anything that got thrown my way. Overall, I had a really good run! I executed all of the things that I wanted to during my race, and I was able to push hard. 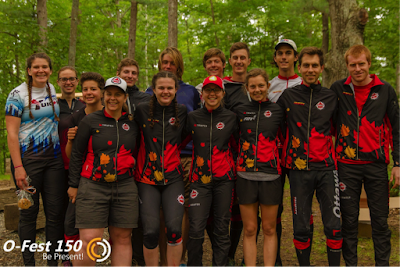 I lost some time in the park section, especially on the river crossing, but finished strong to take 3rd place overall and 2nd Canadian! An interesting route-choice on course 5. Would you go left or right from 9 to 10? The winner of the F21E course was Alva Olsson of Sweden, who ran the course in 14:31. 34s behind her was Emily Kemp. The men’s 21E course also had some fast times with Damian Konotopetz taking gold in 14:41, with Team Denmark’s Andreas Boesen coming in second only 29s behind. Jr Team member Christian Michelsen and HPP member Graeme Farrand in the finish - photo by Adrian Zissos. All the forest races took place in the Foley Mountain Conservation Area, near Westport, Ontario. The terrain was a mix of bare rock/clearings on hill tops, marshy areas, and open forests. The area of the map used for the middle had a lot of rough, rocky ground underfoot which either slowed you down or wrecked your ankles… Sometimes both. Routes of the first loop on course 10, lots of rocky ground right from the get-go. Eric Kemp in red, Leif Blake in Blue, Brian May in green. I found it difficult to navigate using the open areas so I mostly relied on land features like contours and form lines since they were a lot more distinct. The rocky ground, though difficult to run on, was actually very well mapped and good for navigation so on many legs I ended up running just to the side of it. An example of the open areas on course 9. The yellow on the map was a mix of short grass and bare rock. I talked with Eric Kemp after his run and he said he had a perfect race. Only one minute behind Danish team member Andreas Boesen and 3.5 minutes ahead of Damian Konotopetz in 3rd place. A phenomenal result! 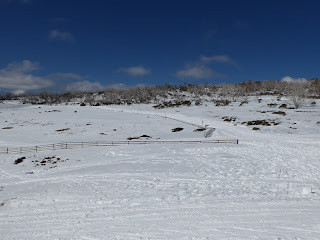 Sunday was the long race at Foley Mountain, the same area as the middle just the day before. 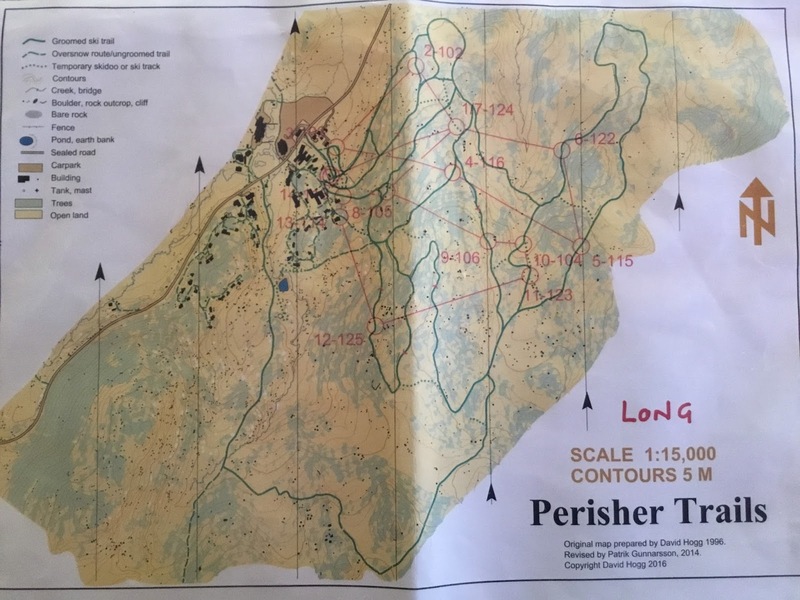 Today, however, incorporated another section of map that was completely different than the rocky section that we ran on in the middle. This new section on the north of the map was flat, very runnable, and had a lot of open rock, marshes and small lakes. There was also another new section of the map that reminded me of the Dundas Valley in Hamilton - just some white forest and contours… my favourite! A sample of the terrain, blown up to a nice and easy to read 1:10000 scale. The rest of the race was solid. Only a few small bobbles here and there. I felt like I was running faster than in the middle from controls 3-11, but once we got into the rocky stuff again I definitely slowed down. The nice open forest from controls 13-15 was very lovely until I got a big huge stick stuck through my shoe and right into the arch of my foot. OUCH! I hobbled the next control or two but still tried to push hard to the finish. 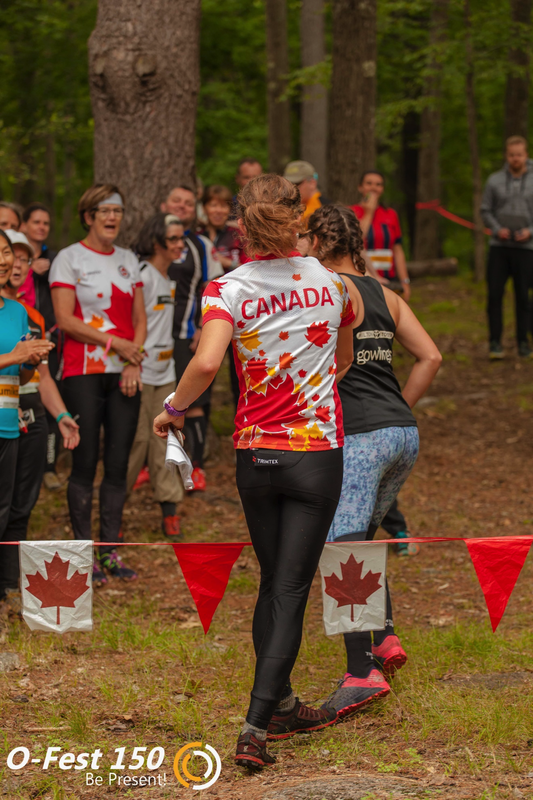 After taking off my sock I realized that yeah… there was lots of blood… no relay for me on Monday because of this but happy with placing 2nd Canadian and 3rd overall! One thing this long race was not short of was long legs. And I mean LOONNGGG legs. 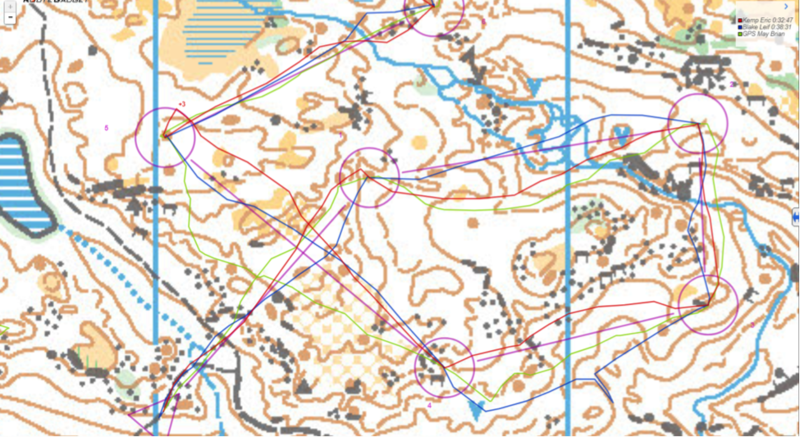 Here’s a sample from course 10 - leg 6 to 7 with route by Eric Kemp (red) and Robbie Anderson (blue). 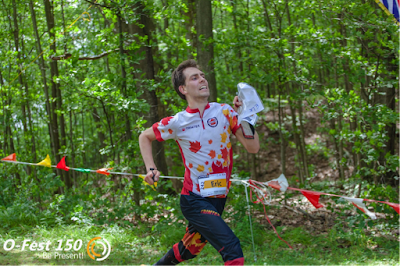 See http://orienteering.ca/cgi-bin/reitti.pl?act=map&id=595&touch=1 for more route analysis. As far as results go, the women’s elite was won by Emily Kemp in 66:27 followed by Alva Olsson in 71:20. Jennifer MacKeigan took 3rd Canadian result, just behind Cecilie Andersen of Great Britain. However, Leif Blake of Whitehorse who raced at JWOC this summer, managed to edge out Emily to win the course in 65:51! On the men’s side, Damian Konotopetz put in a solid race and managed to take the gold in M21E, but only 3 seconds ahead of Andreas Boesen! Eric Kemp took 2nd and Robbie Anderson took 3rd Canadian on this 11.3km course. The relay was a ton of fun. 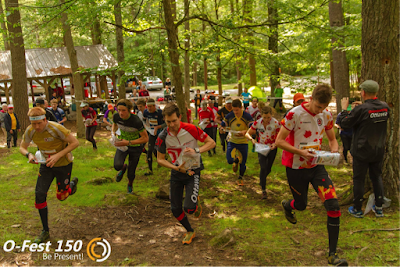 It took place in the north-west part of the map where there wasn’t so much rocky ground which made the pace a lot faster. My plan was to get out of the gates quick and hold on the fast guys for as long as possible. The faster guys got away from me after the first control but I was right with Christian Michelsen when we both overshot our second control, oops! We both recovered quickly and soon joined a pack with Eric Kemp and Leif Blake. It was close and the four of us were exchanging the lead for the rest of the course. So close in fact that at one control Christian took a dive to try and be the first to punch causing a bit of a pile up. I managed to pull away in the last two controls and hand off to my Irish teammate Jean O’Neill in third place. Emily Kemp managed to finish the 1st leg in just under 15 minutes! Which was about 5 minutes faster than the second person to come in. With a 3.5 km leg 1, she would have run at about 4:30 min/km which is fast even on the road. Turns out she had run the shorter 2.5 km leg 3 by accident. Luckily, they just switched the maps for her teammates, Avery Irwin and Nicole Whitmore from DGL, and no disqualification was necessary. There was an award for overall winning teams as well as some funny awards too such as youngest team (45 years combined age), oldest team (214 years!! ), and greatest age difference within one team (50 years). All us HPP members appreciate everyone participating in the relay. 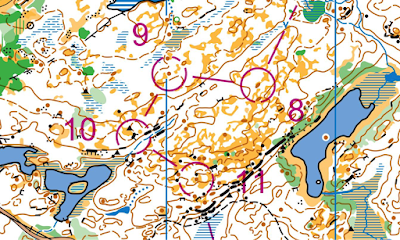 Big thanks to course setter Stefan Bergstrom and everyone else who helped to make it happen. See you next year! Head on over to Willie Carroll's website for many more awesome race photos!